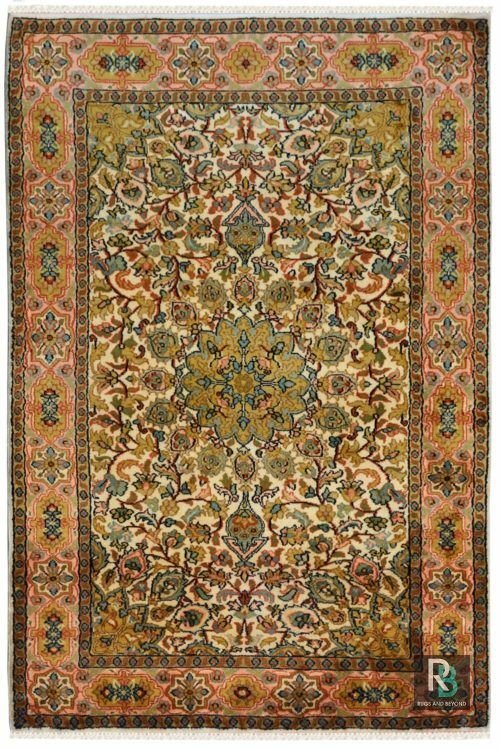 Beautifully variations in color tone make a magnificent carpet. 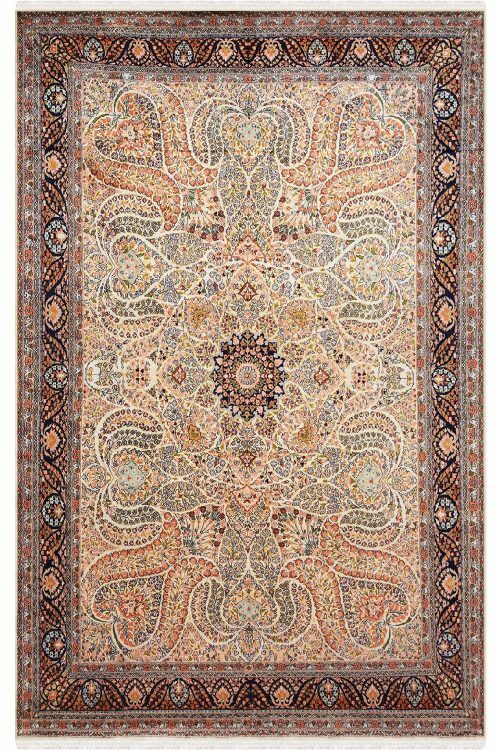 This carpet gives a soft and cosy touch to your feet. 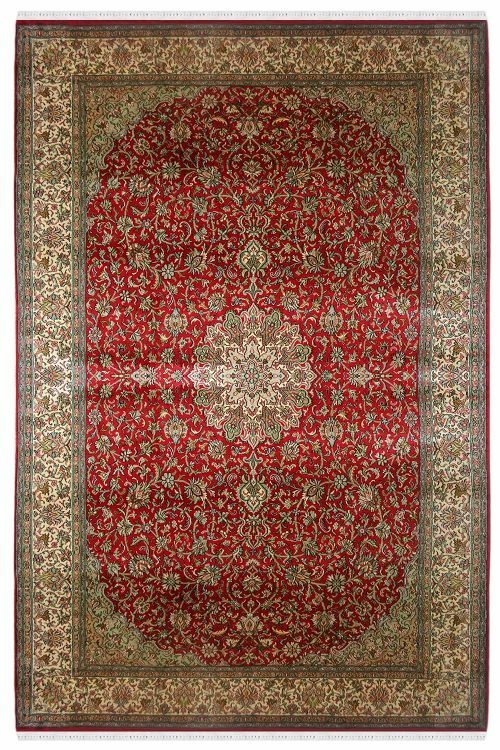 This indoor area rug is hand loomed and has a low pile for easy vacuuming. 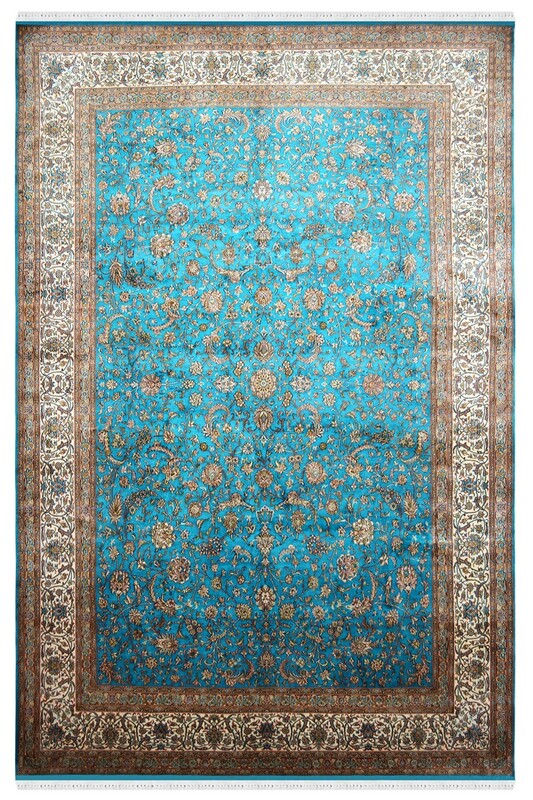 This traditional silk on silk rug has multi natural colors in a random way to allow it to blend easily with any decor. 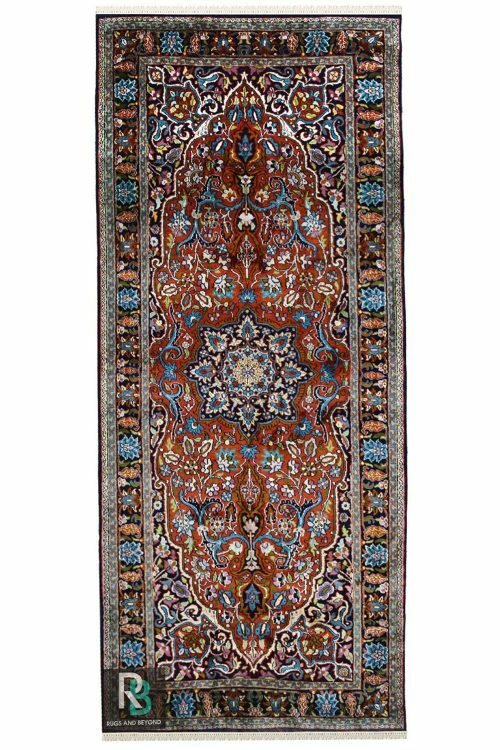 It contains kashan design pattern.